Further questions? Please don’t hesitate to ask me at tyler@aldercovecapital.com or by calling or texting 206.290.0759. Or read more at my blog. Or check out What I Believe. Or see what kind of technology I use with clients. Or quickly schedule a chat here. 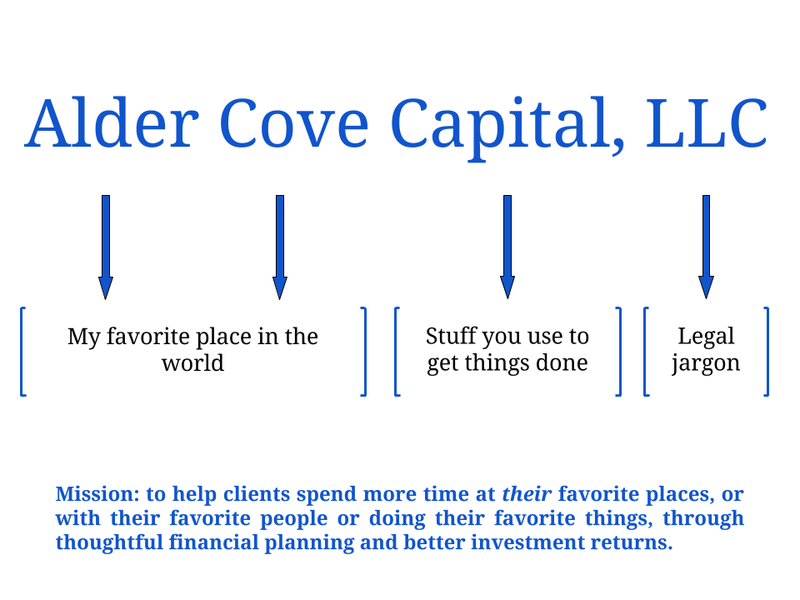 What is Alder Cove Capital, LLC? 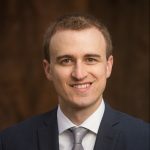 Alder Cove Capital, LLC is an investment advisory and financial planning firm registered in the State of Washington, focused on helping clients reach their financial goals while minimizing conflict of interest. The company is owned solely by me and serves clients in the greater Seattle area. What do 'Independent,' 'Fee-only' and 'Fiduciary' mean? These terms refer to how this advisory firm is set up. Independent: This means Alder Cove Capital, LLC is not a subsidiary of any larger entity. I own the firm and I work for clients – they’re the boss. No one else calls the shots. Fee-only: This means the only way the advisory earns revenue is through client portfolio management or financial planning fees. There are no commissions, no trailing 12b-1 fees, no product referral kickbacks, no BS. Fiduciary: Set up as a Registered Investment Advisor firm in Washington State, this advisory has a legal requirement (a fiduciary duty) to put client best interest first. What are your investing principles? At all times, I advise clients to always make decisions with respect to (1) maintaining diversification, (2) minimizing fees and (3) always staying focused on the long-term. Further, the value of establishing simplicity cannot be understated. I firmly believe complexity is a sure path to financial ruin, or at least financial purgatory. Any investor should be able to view all of their financial accounts on one sheet of paper, and be able to understand exactly where their money is and what each investment costs. All clients receive this transparent treatment. Quite honestly, the only way I can earn your trust is through developing a relationship where I establish that clear communication and ethical behavior come first. Nothing I say to you on a website should earn your trust, nor should any affiliated company bring a sense of security with any advisor; I can only earn trust through proving a commitment to practicing the principles I preach. I hope it becomes glaringly obvious that I am focused on representing and promoting what capital markets should be: transparent and fair. Beginning a dialogue is the only way we can start to build trust. I have passed all three levels of the CFA Program. The CFA Institute designs its exams with a rigorous focus on ethical and professional standards. Have a question? Just ask! I’m happy to talk all things finance with anyone. There’s no shakedown or sales pitch here. Alder Cove sounds like a fake place. Is that true? Nope. Alder Cove is simply my favorite place in the world. 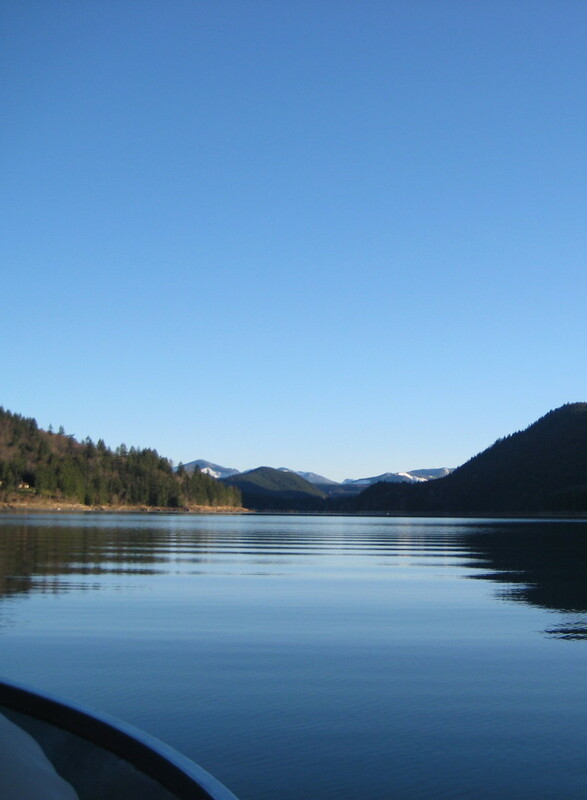 It’s a specific part of Alder Lake, which is south of Eatonville, WA. This is the view from Alder Cove. I use the word “Capital” because capital is something people use to get things done, and I see my advisory as a tool people can use to reach their goals. A detailed pricing page with calculator can be found here. For ongoing portfolio management, clients pay a fee (broken up quarterly), based on the assets managed, at just 0.50% per year. I say “just” because that’s roughly half of what the average investment advisor charges. The maximum charge any client will pay is $900 per quarter – and the minimum is $297. Prices for one-time financial planning engagements vary based on complexity and are negotiable. I prefer to try to charge as little as possible, instead of as much as possible, because I know how excessive fees will eat away at investment returns. My commitment to minimizing the fees you pay on your investments does not come with an asterisk. The only compensation I receive comes from client fees. I am not paid by any mutual fund companies to sell you their expensive products, nor do I receive any referral fees and I have even taken careful steps to avoid obtaining licenses that allow me to sell products based on commission. Further, I receive no compensation based on performance, where excessive risk could be an incentive. The only way I create income is by establishing a long-term advisor/client relationship where we work together to meet your long-term financial goals. Too much effort, and wealth, is wasted on short-term thinking. More detail on fees can be found here. If I hire you, where are my accounts held? Never, at any point, do I take custody of client assets. Betterment for Advisors and TD Ameritrade Institutional are the third-party custodians I work with to maintain your accounts if you opt for ongoing portfolio management services. If we work together on a one-time planning project then there’s no need to transfer any assets to a custodian as I would simply give you my recommendations. Betterment for Advisors and TD Ameritrade Institutional work with independent registered investment advisors, like Alder Cove Capital, LLC, and they provide my clients and my business with timely, tailored service. Clients only send deposits or transfers directly to their custodian. I am simply authorized to allocate and manage their investments. Betterment for Advisors and TD Ameritrade Institutional act as third party custodians and they also provide clients with the ability to view their accounts online at any time on the web, or with their mobile apps. What makes you different than a stockbroker? In a nutshell: reduced conflicts of interest. Stockbrokers are rife with conflicts of interest, whereas I have taken many steps to minimize any possible conflicts. A stockbroker does not have to care about what happens to an investment he sells you, just that you bring him commissions on the sale. An independent advisor has a fiduciary duty to always act in the best interests of clients. Brokers often receive referral bonuses for placing your money with certain funds or vehicles. Remaining independent, I am free to judge the merits of an investment solely on whether or not it fits into a client’s portfolio – not whether or not I get paid to recommend it, like a broker. This freedom ends up with me typically recommending the least costly investments (index funds) which also happen to typically be some of the best performing. Every client is different so we start by taking a look at the bigger picture of your financial assets while comparing your long-term goals to how your current savings, income and expenses may or may not have you on track. I seek to get everything organized on one sheet of paper so we can then allocate your investments properly. It is paramount you are properly allocated according to your ability and willingness to tolerate risk. Most financial mistakes are purely psychological biases so it’s important I get to know what makes clients tick and only then can we begin to effectively measure and reach goals. I do not run a mutual fund (where racking up expenses while trying to beat the market, and usually losing, is the norm) – in fact, most of the time we opt to invest WITH the market instead of trying to beat it. If after our initial meeting you want to move forward then we simply sign an agreement detailing our arrangement. I avoid complex financial instruments and a typical client will have a globally diversified mix of stocks, bonds and shorter-term cash/CDs. The official Form ADV Part 2A “brochure” for Alder Cove Capital, LLC can be found here. This document will provide much of the same information as a client investment advisory contract. Where do we meet? What's a virtual practice? I meet with clients wherever they feel most comfortable. Sometimes that means at their home but often it’s a local coffee shop or a restaurant. Most of our relationship, though, takes place thanks to technology, whether that means e-mails, video chats, phone calls or screen sharing (check out the technology I use here). This is another very deliberate choice I’ve made for client value. Guess who ultimately pays for office rent downtown, secretaries, and validated parking? It’s clients. A virtual practice is the future of investment advice because people are busier than ever and minimizing cost is a crucial part of investing success. How much money do I need to have to work with you? There are no account minimums here. Everyone deserves good advice if they need it. I like to work with regular, hard-working people ready to get their hands a little bit dirty when it comes to reaching their goals. There will be forms to fill out to transfer an account, and there might be some new technology to learn. But there is major “sweat equity” created when clients take ownership of their financial lives. I get a huge kick out of reversing the trend of high-cost, low-value financial “advice” one client at a time.